What Americans know without further investigation is that their president is a fool. President Trump is a laughingstock in the eyes of global sophisticates and rival nations. His vanity and naiveté combine to keep him from realizing how ridiculous he is. What we know about Russian interference in the 2016 campaign is that Russians wanted to see if they could manipulate Trump and his people and found that they could. Donald Trump is all the more a patsy if his protestations of innocence are true. Given his vanity, he could well have failed to recognize how blatantly the Russians were playing his team. He has yet to acknowledge the wrong he committed in surrounding himself with people willing to serve parochial or rival interests rather than those of the United States. Whether Trump colluded with Putin’s hirelings has yet to be established, but, by leaving the nation open to a sort of embarrassment that amounts to a dangerous vulnerability, Donald T. Rump showed a gross incompetence that is incontrovertible. What prompted Trump to select Michael Flynn, as his national security advisor? Flynn was an embittered army general intent on getting even with the US by selling his services to dubious foreign clients. Even after the acting head of the Justice Department warned Trump that the Russians could manipulate Flynn by threatening him with exposure, Trump postponed Flynn’s dismissal, leaving him in a highly privileged position for nearly a month. Trump’s stubborn loyalty to a man who mattered far less than our security interests must have filled the Russian establishment with glee. While the president ingenuously bragged to high-ranking Russians about the quality of American intel, their compatriots were probably busy hacking the NSA. 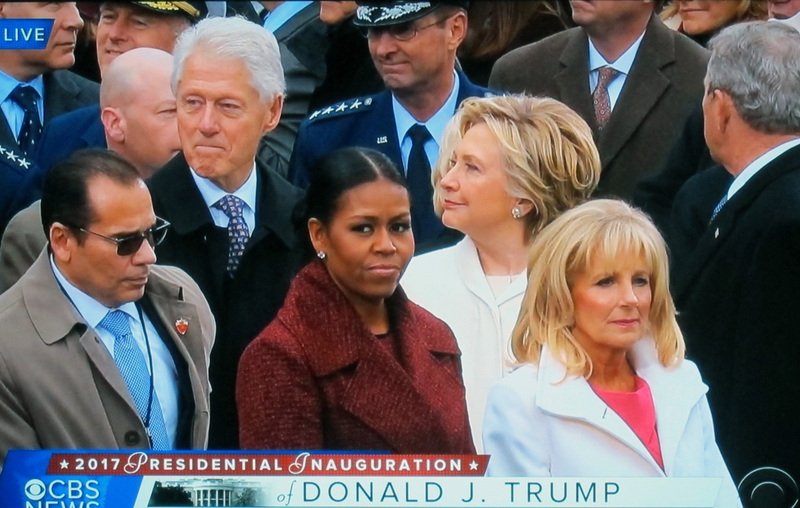 Which is worse: having a grandiose bumbler in the White House instead of a person who, as the Founders intended, represents the best of America; or knowing that the President is incapable of serving the nation in accordance with his oath? 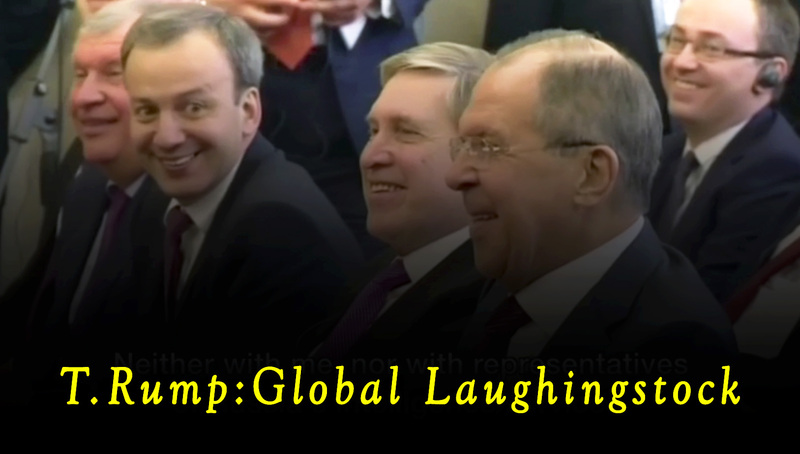 as Putin jokes at the Americans’ expense (May 2017).